Trapdoor spiders get their name from the trapdoor-like entrance they make to their underground burrows. Made of silk, soil, and plant matter, a trapdoor spiders habitat is an interesting study in bug behavior. 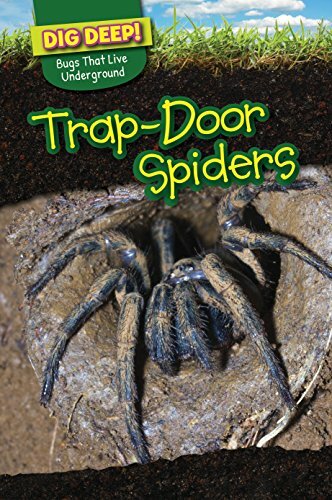 Readers will be fascinated to learn all about the trapdoor spider through this volume, which is written to support elementary science curricula. The information-rich text explores the life of a trapdoor spider with a special focus on their burrows and the behaviors that keep these spiders close to or under the ground. Readers also learn about the spiders role in its ecosystem, its life cycle, and physical and behavioral features. Fact boxes, color photographs, and age-appropriate text are designed to make learning fun. Emily Wilson is Associate Professor of Classical Studies at the University of Pennsylvania. She is the author of Mocked to Death: Tragic Overliving from Sophocles to Milton (2004) and The Death of Socrates: Hero, Villain, Chatterbox, Saint (2007), as well as the translator of Six Tragedies of Seneca (2010).